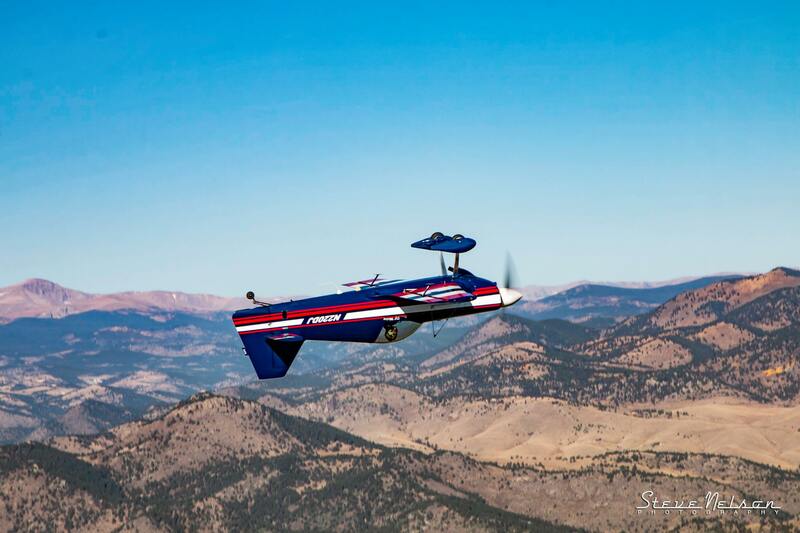 The Giles-200 is a single-seat American aerobatic aircraft that was designed by Richard Giles and first flew in 1994. It was specifically designed as a small, lightweight, Unlimited-class aerobatic airplane at an affordable price. At that time, carbon fiber materials had started to reach the consumer market. Prior to that, a few acro planes had flown with carbon wings (Rebel, Sukhoi, Extra-300). The Giles-200 was the first all-carbon design in the aerobatic class. Richard formed AkroTech Aviation, Inc. to produce parts and later kits. A little over twenty G-200s were produced and nearly seventy of the two seat G-202s along with one G-300 and the Turbo Raven. Today Richard flies Dassault Falcon jets for a corporate client and remains active in the aerobatic community. The International Aerobatic Club will feature the history and the development of the Giles-200 in the IAC pavilion on the AirVenture grounds. Six exhibit panels will tell the story of this iconic aerobatic aircraft and the pilots who flew it. The MX Aircraft later came about after the kit build Giles Aircraft was bought out in 2001 and then morphed into the current much improved MX2 Aircraft. MX Aircraft Co. owns the design for both the G-202 and MX models. A forum presented by aircraft designer, Richard Giles on the Giles-200 will be held at the IAC pavilion on Wednesday, July 24th at 8:30am. On Wednesday evening from 7:00 pm-8:30 pm, prior to the night air show, a gathering of Giles-200/202 pilots and builders will celebrate the 25th Anniversary of the Giles-200 at the IAC pavilion. The 2019 NOTAM which describes AirVenture arrival and departure procedures will be available soon for download. Please check back. IAC members arriving in their aircraft will be directed by EAA Parking personnel to the "IAC" parking area, which includes the Giles-200 arriving for the 25th Anniversary and other aerobatic aircraft types. IAC Parking is directly across from the IAC Pavilion with the Giles-200 parking segregated from the rest and along the road which runs north-south in front of the IAC Pavilion. 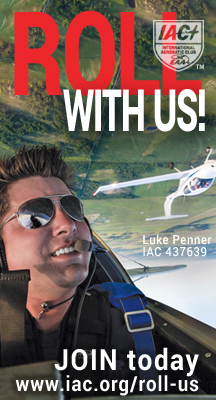 The NOTAM describes the sign that pilots should bring in their airplanes with “IAC” printed in bold letters. This sign will be shown to EAA Parking personnel so they can direct you to the IAC parking area. It is a simple and efficient system for printing and carriage in your aircraft. Pdf of a sample sign is attached at the bottom of this page for printing. A full range of seminars and forums will also be held during the course of the week. Seminars will take place at the IAC Vicki Cruse Memorial Pavilion from Tuesday, July 22 through Friday, July 26 starting each morning at 8:30am. A full schedule for the forums are posted HERE. There is one remaining opening if your are interested in presenting a forum, please contact Michael Church. mc[at]sunriseaviation.com. Food, beverages, camaraderie, fellowship, and conversation are on the agenda. IAC members, sponsors, Giles-200/202/MX owners and pilots are invited. The Nature Center is located east of the Museum and Pioneer Airpark as shown in the diagram and is accessed from Waukau Avenue. All aircraft must be tied down and EAA Parking advises us that the best solution is to bring your own tiedowns. Tiedowns are available commercially at the AirVenture site and loaners are also available from EAA, but these sources cannot be counted on if arrivals are “after hours” or supplies run low. Please plan to bring your own equipment. EAA has the “Claw” tie-down device on sale and comes highly recommended. After being directed to the IAC Parking area by EAA Parking personnel (showing them your “IAC” sign will assist them), pilots should proceed to the IAC Pavilion to check in with IAC personnel, let us know you have arrived, and to sign our Guest Book. All aircraft should be registered with EAA Aircraft Registration as well and directions will be provided at the IAC Pavilion if you are not familiar.